Monterey County's agriculture industry produces picturesque scenery. Most tourists come to the Monterey area for its mild climate and coastal attractions, according to a San Francisco Chronicle article written by Christine Delso. Increasingly, tourists are showing interest in Monterey County’s No. 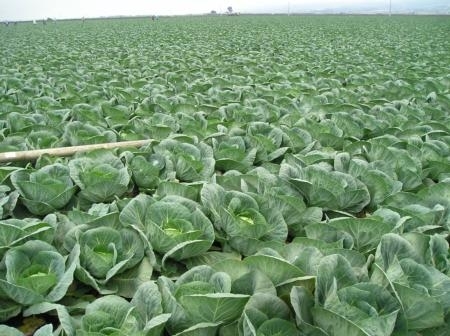 1 industry, agriculture. Evan Oakes, a former farm advisor and current consultant for UC Cooperative Extension in Monterey County, pioneered the agritourism trend here when he started AgVenture Tours in 1997, mixing agricultural education tours with sightseeing and wine tours of the county. The UC Davis this fall will launch an undergraduate major focused on agricultural sustainability. The bachelor of science degree in Sustainable Agriculture and Food Systems uniquely integrates several subjects to provide students with a thorough understanding of the many issues facing modern farming and food systems, including production, processing, distribution, consumption and waste management. The public has an opportunity to get the latest information on the care and maintenance of home lawns and landscapes at the 2011 Turfgrass and Landscape Research Field Day, presented by the University of California, Riverside. The field day will take place from 8 a.m. to 1:30 p.m., Sept. 15, at the university’s Turfgrass Research Facility, 1060 Martin Luther King Boulevard, Riverside, Calif.
New York Times reporter William Neuman attended the UC small farm program's final "Growing Agritourism" workshop in Salinas last month and connected with a number of California farmers who were featured in a story published yesterday. The article noted that the "university extension service" brought the farmers, agricultural and tourism professionals, local officials and community leaders together to talk about improving agritourism opportunities in the Central Coast region. The workshop was one of five held this year by the UC small farm program and UC Cooperative Extension. Funding to support the workshops came from Western Sustainable Agriculture Research and Education. Dairy farmers Jim and Christine Maguire, who operate two bed-and-breakfast units at their farm. "Money from the paying guests is now enough to pay for the animals’ feed, one of the farm’s biggest expenditures," the story says. Christine Cole, who charges for tours of Full House Farm in Sebastopol, Calif., where she and her husband keep horses, raise vegetables and chickens and maintain three farm stay units. Vince Gizdich who runs Gizdich Ranch in Watsonville, where visitors enjoy “Pik-Yor-Self” berries and apples. Bonnie Swank, of Hollister, Calif., who runs a corn maze and haunted house each fall on land that grows vegetables the rest of the year. Templeton farmer Kim A. Rogers and her husband, who pulled out their orchard to become full-time innkeepers. "Farming was exhausting work and the bed-and-breakfast was providing an increasing portion of their income," according to the Times.  The story mentioned a number of online resources for the public to find agritourism experiences including Farm Stay U.S., which maintains a listing of farm stays around the country, and World Wide Opportunities on Organic Farms, which acts as an online clearinghouse for people who want to trade labor for lodging on a farm, with stays ranging from days to months. 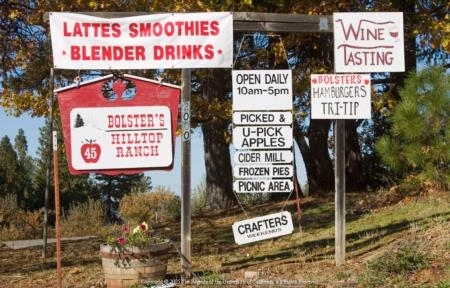 But it didn't include the UC small farm program's own agritourism directory, CalAgTour.org, which steers visitors to the wide variety of agritourism destinations in California. 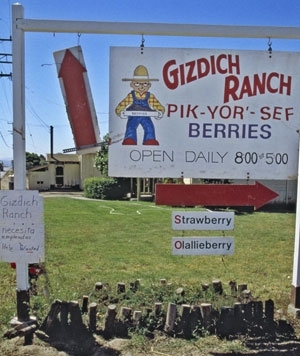 Gizdich Ranch operates a U-pick operation. Thirty percent of the farmers offering agritourism events supplemented their regular farm income by $50,000 or more in 2008, according to a study by the UC small farm program that was covered on the front page of today's Fresno Bee. Nearly two-thirds of California agritourism operators planned to expand or diversify over the next five years. 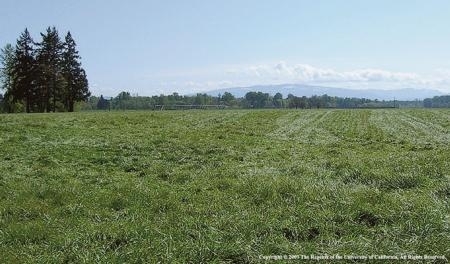 "There is no question that there is a lot of potential for growth, and we are seeing it happen," the story quoted Shermain Hardesty, small farm program director and a co-author of the report. Visitors can stay the night on the 95-acre tree Dinuba farm of Nori and Mike Taylor. Farmer John Olivas lets people pick their own fruit and operates a fruit stand on his three-acre berry farm in Hanford. Fresno farmer Mike Smith will allow people to pick their own flowers, lavender and produce on his 40-acre organic farm. In the fall, he will operate a pumpkin patch for the public and school tours. "We know from all the consumer trends that people are willing to pay for an authentic experience and for specialty foods," said Ellie Rilla, community development adviser for UC Cooperative Extension in Marin County and co-author of the study. "And agritourism provides that." The research article, California agritourism operations and their economic potential are growing, was published in the current issue of California Agriculture journal. 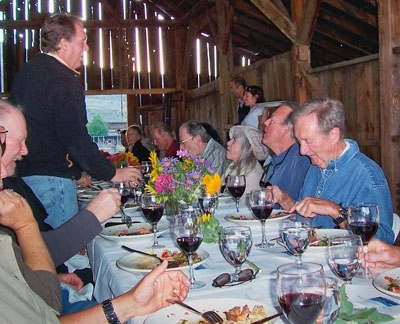 Bringing in visitors for a dinner in a barn is one form of agritourism.